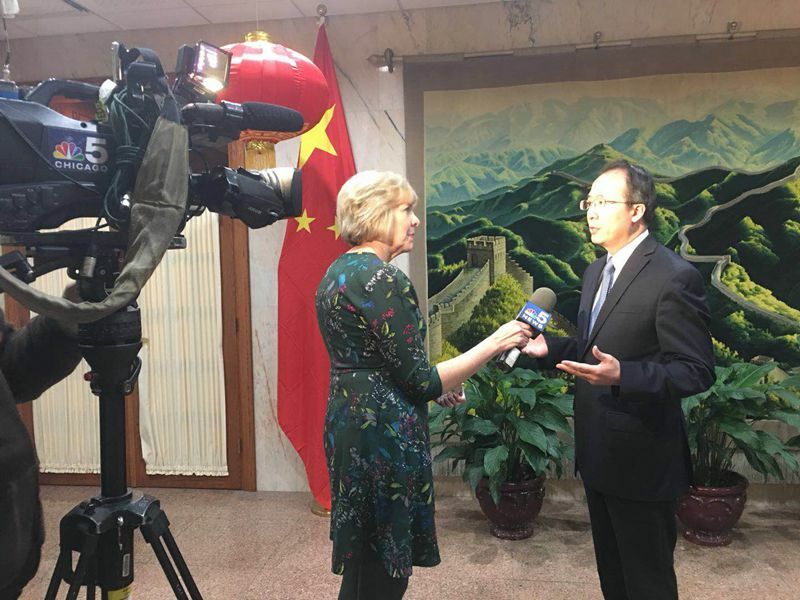 On April 5, 2018, Consul General Hong Lei gave an interview to NBC-5 Chicago on the recent development of China-US trade relations. Consul General Hong Lei said that the US 301 investigation is a typical unilateral and protectionist move ignoring the efforts and achievements China has made in intellectual property rights protection, violating WTO’s rules, breaking America’s own promises, putting the international multilateral trade system at risk, and hurting both China and America’s interests. China strongly opposes such investigation. Given the fact that China and the US are highly interdependent in economy with huge common interests, it is only natural for them to have differences in trade cooperation, and the key is to solve the differences through dialogue, expand mutual benefits and create even better conditions for trade and economic cooperation between the two sides. China does not want a trade war but is not afraid of it. If the US insists on starting a war, China will fight to the end to resolutely protect its legitimate rights and interests. 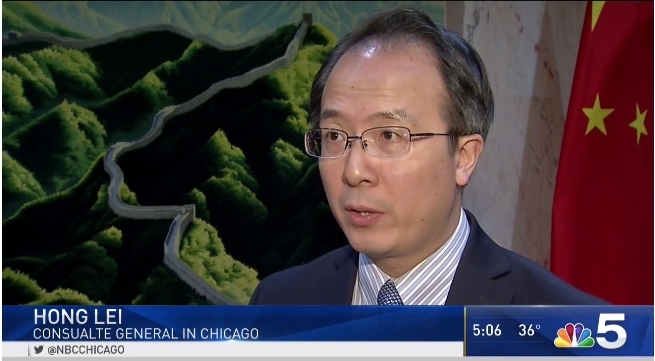 Consul General Hong Lei said that China has maintained mutually beneficial and win-win cooperation with the city of Chicago, the state of Illinois and other states within the consular district. Such cooperation has brought tangible benefits to people of both sides. He hopes that various parties in the Midwest could convince the US government to see the China-US trade and economic ties in a right way and help maintain the sound development of bilateral relations.